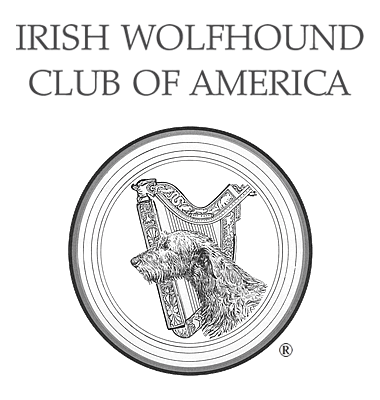 Liver - Irish Wolfhound Club of America, Inc.
How Fast Does a Puppy Grow? What Happens with Liver Shunt? Liver Shunt, more appropriately known as Portosystemic Shunt (PSS), is not unique to Irish Wolfhounds. It is a congenital disease wherein the blood vessels which usually pass blood through the liver to cleanse it of toxins do not mature properly. Before puppies are born, their blood is filtered in the mother's liver, passing back and forth through the umbilical cord. After birth, the blood vessels which bypassed the puppy's liver should close within a few days. Fortunately the occurrence of PSS is not high, but all puppies should be tested for PSS before leaving the breeder. It is heartbreaking for a new owner to have to see a puppy being slowly poisoned. While surgical treatment is available, it is complicated and expensive. Testing for PSS is simple. The puppies need a blood sample taken after eating and the level of bile acids in the blood is measured. If the test shows high concentrations in a puppy, the test should be repeated with blood draws before and after eating. This can usually definitively diagnose PSS. An ultrasound may be required to determine the specific abnormality of the shunt if surgery is to be performed. This page was last updated 02/24/2019. Copyright © 2019 Irish Wolfhound Club of America, Inc., unless otherwise noted. Content and photography cannot be reprinted, redistributed, or otherwise used without written permission from the IWCA or the copyright holder. Information published on this website may contain personal and professional opinions and experiences and is provided for general interest and guidance only. The information is provided with the understanding that the authors and the IWCA are not rendering legal, ethical or other professional advice and services. The opinions expressed are the authors’ own and not necessarily those of the Irish Wolfhound Club of America, Inc. Information on this website should not be used as a substitute for consultation with your own professional advisors. Listings of manufacturers, practitioners, publications, suppliers, or links to commercial or non-commercial sites do not constitute an endorsement on our part. There is no implied or express warranty or guarantee of merchantability or fitness for any particular usage, application or purpose. Links to this site do not imply endorsement of any products, services, organizations, companies, information providers or content of the linking site by the IWCA, Inc. Contact the IWCA Internet Committee with website questions.